Floodwater from the Missouri River rose 6 to 15 feet in the Chesterfield Valley during The Great Flood of 1993. 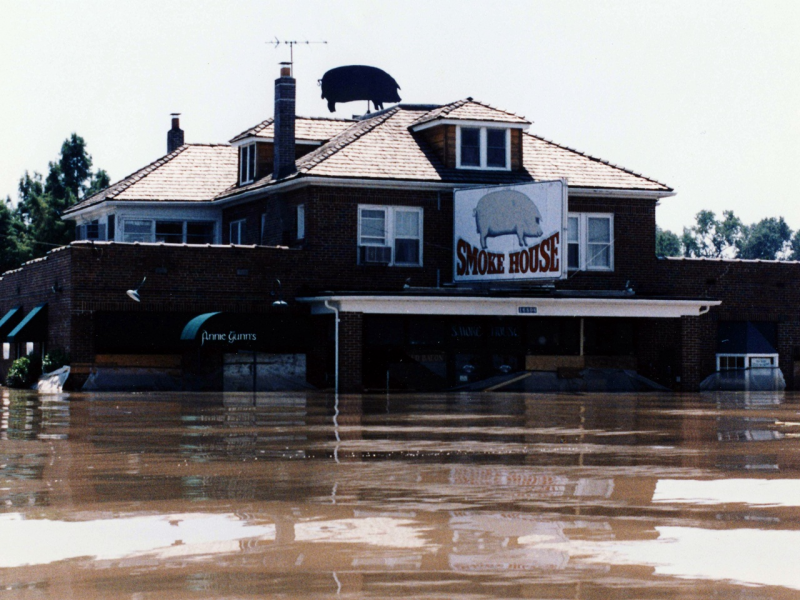 Many Missourians still have vivid memories of the Great Flood of 1993. At the time, I was 11 years old, but I still remember the devastating effect this flooding had on our region’s families and businesses. However, in the nearly three decades since the Great Flood, we have seen an unusual growth of new development projects in flood-prone areas. So, why does development occur in areas at risk for future flooding? It’s simple. Economic development programs like Tax-Increment Financing (TIF) offer huge incentives for businesses at your expense. The Chesterfield Valley in West St. Louis County is one of the many flood plains that has been heavily redeveloped in the last two decades. 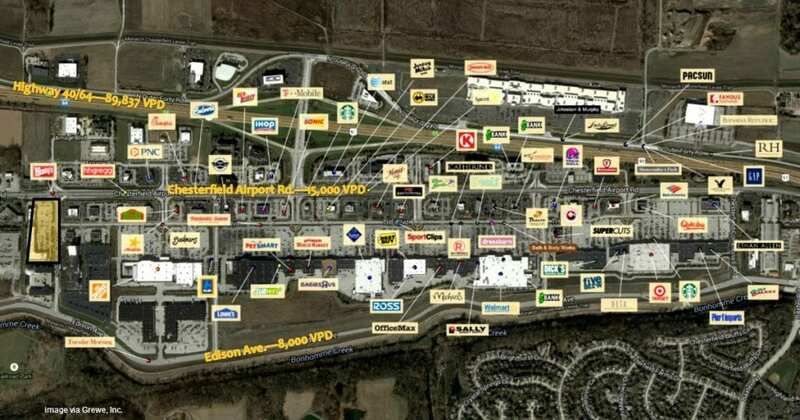 This district includes miles of businesses including big box retailers, restaurants, entertainment venues, and corporate offices. Tax-Increment Financing (TIF) works by allowing a developer to refund or divert a portion of their taxes to help finance their project. Normally, these taxes would have gone to local municipalities to help pay for schools, libraries and other essential city services. To qualify for TIF, a project must be considered “blighted,” but state law has a very broad definition of what qualifies as blight. For instance, even with levees and other protections, our flood plains qualify as “blighted” because they are prone to flooding. It’s no wonder there is such an incentive to develop in our flood plains. The original intention of TIF was to aid in the development of economically distressed areas, but since its introduction in Missouri in the 1990s, the program has become prone to abuse. Many people don’t realize their tax dollars are going to private developers that probably didn’t need public assistance in the first place. From corporate headquarters and entertainment districts to fancy shopping malls, TIF has earned a reputation as a corporate welfare program. This is why I’m sponsoring Senate Bill 108, which would limit how TIF could be used. Under this legislation, developers would be unable to qualify for TIF subsidies if a project would be built in an area designated as a flood plain by the Federal Emergency Management Agency (FEMA). This legislation would also modify the definition of “blighted” so that flood plains cannot be designated as blighted, and projects in flood plains would not be eligible for TIF. 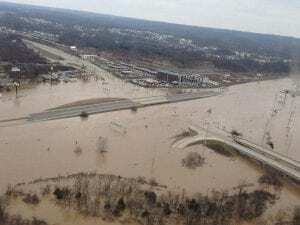 Major flooding from the Meramec River closes a 24-mile stretch of Interstate 44 west of 270 in Fenton, Missouri in December 2015. Our state has seen a number of historic floods in the past few decades. The damage from severe flooding has destroyed many businesses and forced people to evacuate from their homes. The risks of building in a flood plain far outweigh the potential benefits, and yet, there are several proposed projects in and near my district that would be built in flood plains. I have filed this bill to protect communities’ public dollars from being used to fund projects in flood plains, and to encourage developers to avoid building in dangerous areas.